So it happened! 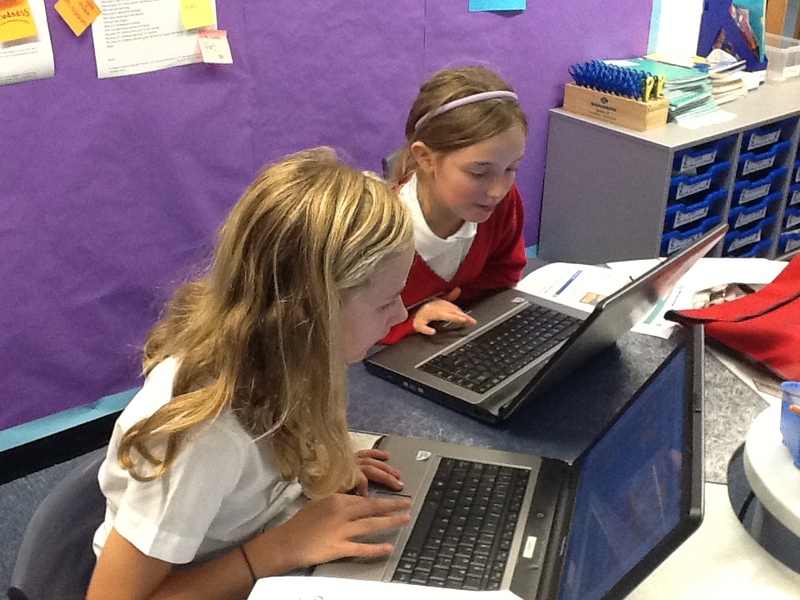 We ran our very first CodeClub session on Monday 17th September. Children actually turned up. Children actually coded. First things first, we got the badges sorted out. I spent Friday evening making them according to strict CodeClub instructions. They seemed to go down well. Here are some quick thoughts about how it all went and what I learnt from doing it. 1. Children don’t just follow the project step by step to get it to look exactly like the one in the example. That’s what I’d do. Instead, they go by circuitous routes, stopping to explore and experiment. (I’d probably do my experimenting at the end once I’d made sure I’d completed the assigned task and gained my pat on the back from teacher. I’m SO old skool!) So they didn’t want to call their cat Felix and their mouse Herbert. They chose their own names. And some chose a different background. At first, I heard myself saying, “let’s all keep to the same script for now.” But I couldn’t think of a good reason for sticking to the script so I chilled out and let them experiment and personalise. I guess that’s what programming is all about – making the computer do what you want it to do instead of simply following instructions. So that was my first lesson learnt! 2. They are noisy! Much noisier than we’d expected. 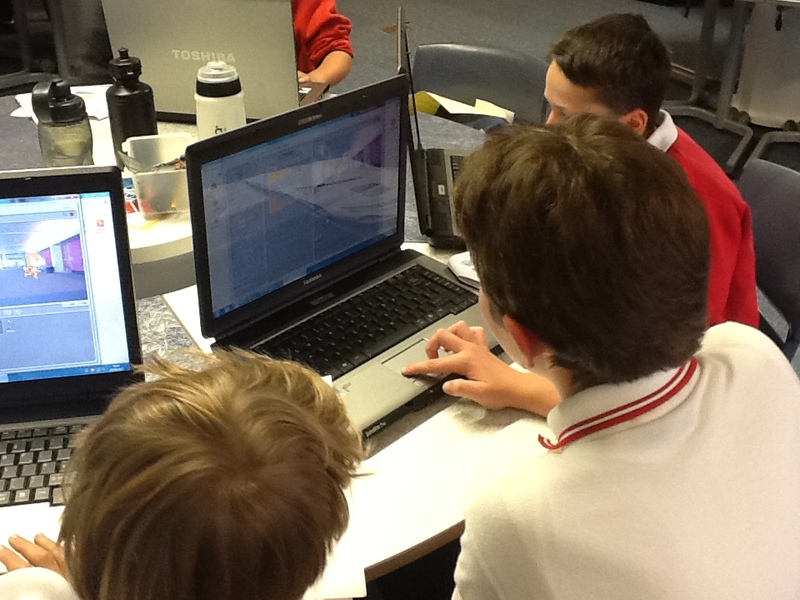 But when I think about it, all the noise was centred around the task in hand ie creating something on Scratch. And amongst the noise you can hear words like “cool!” and “awesome!” when they can see what they’ve achieved and want to share that sense of accomplishment. That was a lovely feeling. 3. We’re very lucky to have such enthusiastic, patient volunteers. Maybe the children become more autonomous as they progress through CodeClub but for the time being, they do need quite a bit of support and they like to ask questions. So the volunteers have to work pretty hard. 4. The children wouldn’t leave! I kept telling them we’d come to the end of our time and they needed to save and log off but they just ignored me and carried on. Then when their parents came in to collect them, they wanted to show off what they’d done. So we might need a better plan for ending the session! Setting the fire alarm off? We’ve had some positive feedback already so I think they’ll come back again next week. I’m looking forward to finding out if they’ve been playing with Scratch at home and what they’ve come up with. I should add that we’re getting total support from the head teacher and his team at school which is why we’ve been able to get up and running so quickly with CodeClub. But above all, I’m grateful to Clare Sutcliffe and Linda Sandvik, the two amazing women behind CodeClub. Their hard work and vision has enabled me to turn a vague pipe dream into a reality – with very little effort on my part. The CodeClub they’ve designed tells children that programming is not something they should be scared of or sneer at. It’s fun, creative and can be learnt. Degree level maths is hard. But we don’t use that as an excuse not to teach Key Stage 1 children basic arithmetic. Similarly, coding is hard at the upper levels. But there is an entry point which enables children to understand the fundamentals. Above and beyond that, it’s their choice how far they take it. But without an entry point, they’ll always see it as scary and inaccessible. 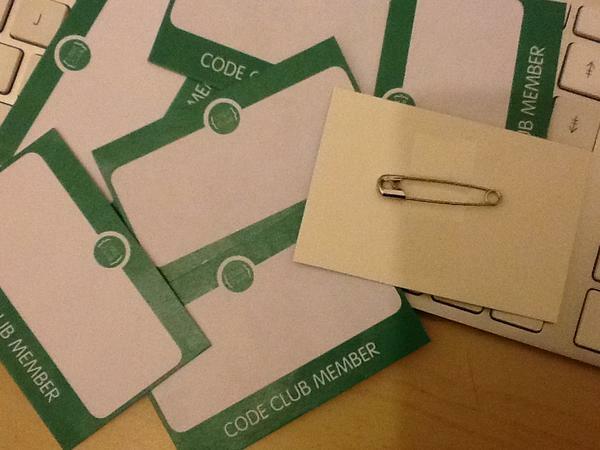 CodeClub is a great place to start. This entry was posted in Coding and tagged codeclub, programming on September 18, 2012 by LizHannaford. Great stuff Liz How many children/helpers did you have? We had 8 Yr 6 children and 4 parent volunteers plus the offspring of the volunteers who came in various ages. We won’t always have that many volunteers. We’re going to aim to have a minimum of 2 each week. But even with 4, we were kept pretty busy. Very much my experience from the pilot.Watch the projects as the progress for good reasons to stick to the plan. e.g. a particular sprite because it has a block of colour placed to use in collision detection. I’m looking forward to starting mine again. Last time it was just me and 12 kids, although I’d known most of them since reception class so that helped a bit – the advantage of a long association with the school, having your son in the right year and being a school governor! Thanks for the comment and the advice. I’ll try to make sure they don’t stray too far off piste!